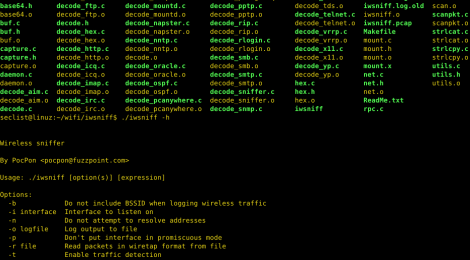 Browse: Home / iwsniff is a TCP/UDP password sniffer based on decode routines in dsniff. 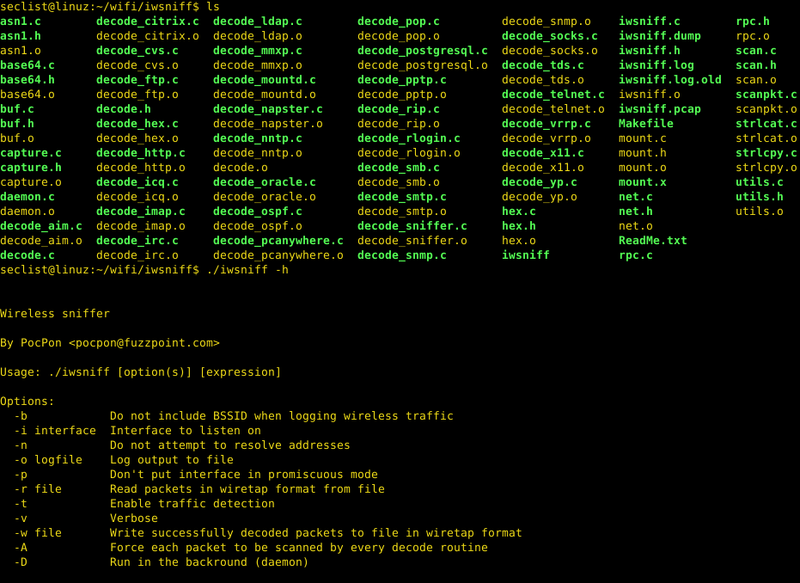 iwsniff tool to be able to scan through some old Kismet dump files for passwords as dsniff fails when there are packets missing for reassembly of a TCP stream, which is quite frequent when sniffing wireless traffic. In case of wireless traffic, the BSSID is printed by default. This is convinient when scanning through Kismet dump files since most access points provides DHCP with 192.168.0.x addresses. Traffic detection (-t option) makes is easier to detect if insecure protocols are used since it alerts the user even if a packet going to a known destination port is not successfully decoded. ← WLT3Serial – Native Java-based deserialization exploits for WebLogic T3 (and T3S) listeners.